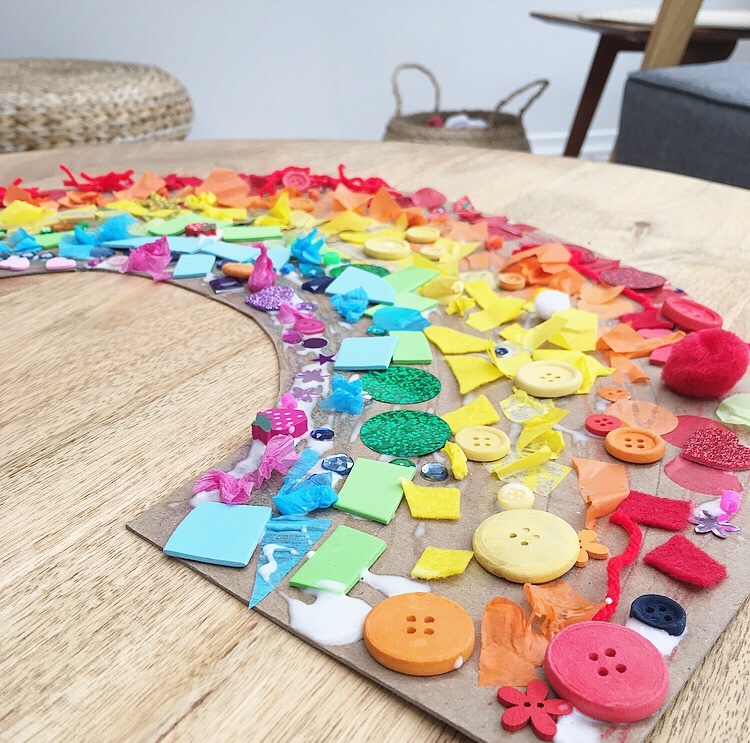 I am something of a vacuum of original ideas when it comes to creativity and art projects – particularly when it involves toddlers and the prospect of clearing up the inevitable disaster zone afterwards. However: toddlers love art, and I have had four toddlers to entertain over the past six years. 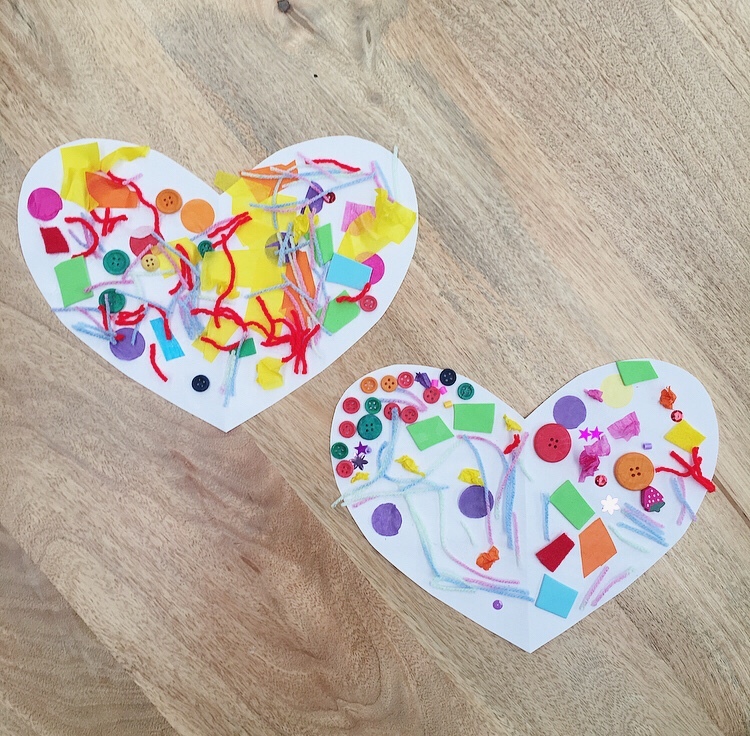 So I have, however reluctantly, been involved in a lot of toddler art projects. 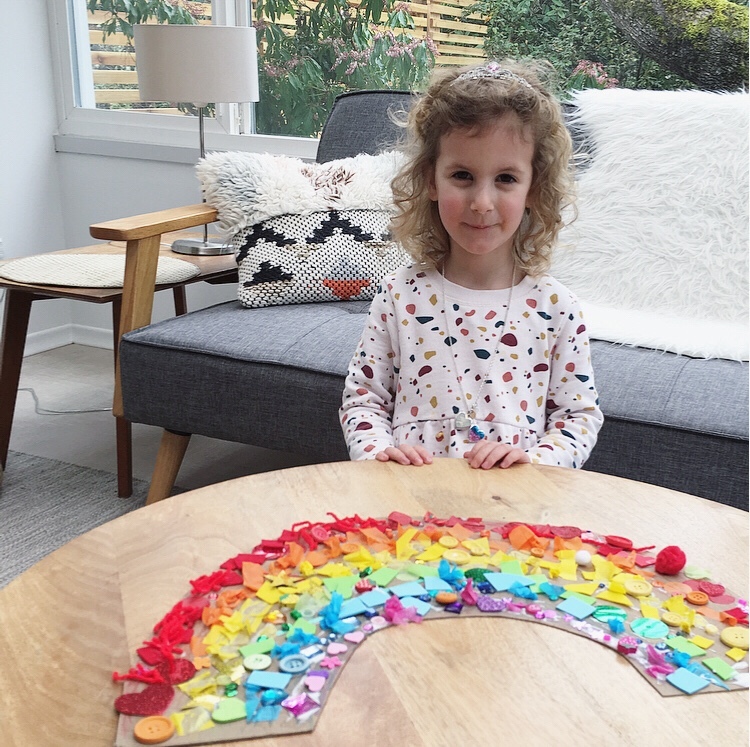 Anyway the love of all things unicorn and rainbow continues at full pace in our household, so while Wilf (1) was sleeping, I set Mim (3) up for a rainbow collage activity and she absolutely loved it. 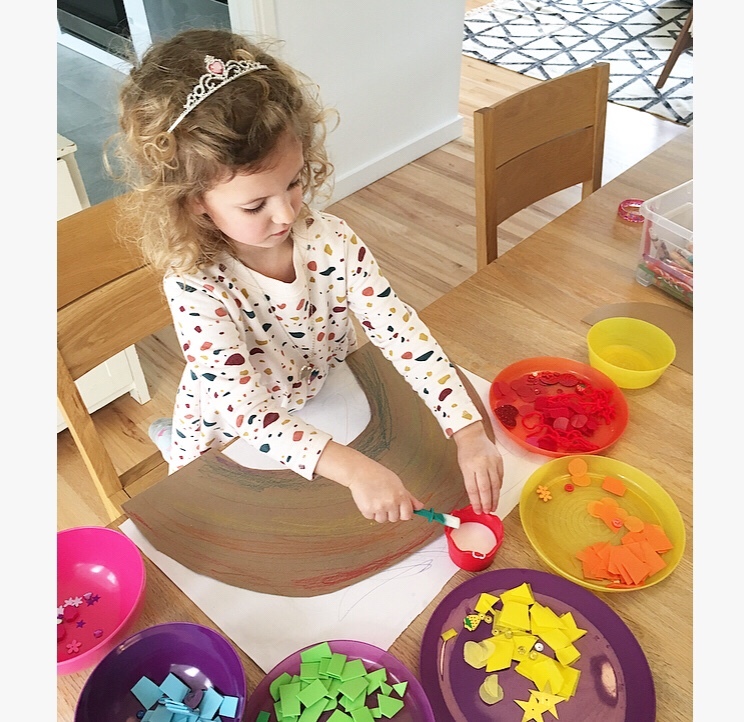 This falls nicely into the smug and lazy category because all I had to do was pile some ‘collage materials’ into coloured bowls, cut out a rainbow template from some card, and then sit down with a cup of tea while she worked diligently for an hour. An hour! Toddler gold dust. By ‘collage materials’ I mean all the remains of craft supplies lurking at the bottom of our art boxes – buttons, Pom Poms, sequins, stickers, foam sheets and felt sheets – you get the idea. At the end of this project we had some leftover colourful pieces and Wilf had just woken up so we decided to continue the fun. With some regular paper and glue sticks rather than school glue just to keep the mess slightly more under control. Wilf (1) spent most of the time taking the lid off the glue stick and putting it back on. The sticking was the secondary activity. After a bit of an art hiatus while we renovated the kitchen I think we’re back into a groove now. As an aside, I rely heavily on a couple of art-specific blogs for much-needed inspiration; Art Bar and The Artful Parent. This project was inspired by some rather more refined examples I saw on the Art Bar Instagram feed back in the summer, so it took me only a casual 8 months to recreate. Smug and Lazy nod! The perfect option for a quiet Sunday afternoon.